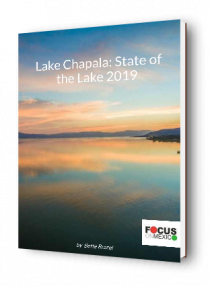 Thank you for your interest in the Focus on Mexico ‘Best Doctors’ or ‘WEA’ GROUP HEALTH PLANs. You do not have to be a Focus Alumni client to join. Anyone who qualifies is welcome. It is necessary to complete this Focus Group Membership Application and have paid the Membership fee ‘prior’ to submitting your application for the Best Doctors Group or WEA Plans. NOTE: Also just as a reminder, you can apply up to and including the age of 74 years plus 11 months. You must have a residency visa or have applied and been pre-authorized OR you may also join on an FMM (Tourist Visa) providing you reside in Mexico 6 months or more per year. Note: If two people are applying, please fill out individual applications, each with a separate email address. Since our system records by ‘unique email’ if two people use the same email address, the second form will overwrite the information from the first. Annual Membership fee: $60.00 USD per person (Focus Alumni get a 15% discount = 51.00 USD) Policy year starts June 15th so payment will be pro-rated. Your Best Doctors premium will also be pro-rated. 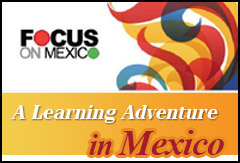 Once your application is received by Focus On Mexico, you will receive a pro-rated invoice for Focus Membership. Once we receive your payment, we will confirm receipt to you, and send a copy to our Best Doctors' Agent, as proof of membership is a requirement when submitting the Application for Best Doctors Group Plan. At that time, our agent will send an e-mail to you outlining the next stages in the process and the deadlines for submission of all documentation. If you do not get accepted by Best Doctors, Focus will refund your Membership Fee. You will need to email ray@focusonmexico.com to advise him you were not accepted and request the refund. Welcome to the Focus Membership for Best Doctors Group Health Plan!